3 Days of fun. Friday, (3/16) through Sunday, (3/18). Tons of prizes and a chance to be on Champs Free Throw Wall of Fame! 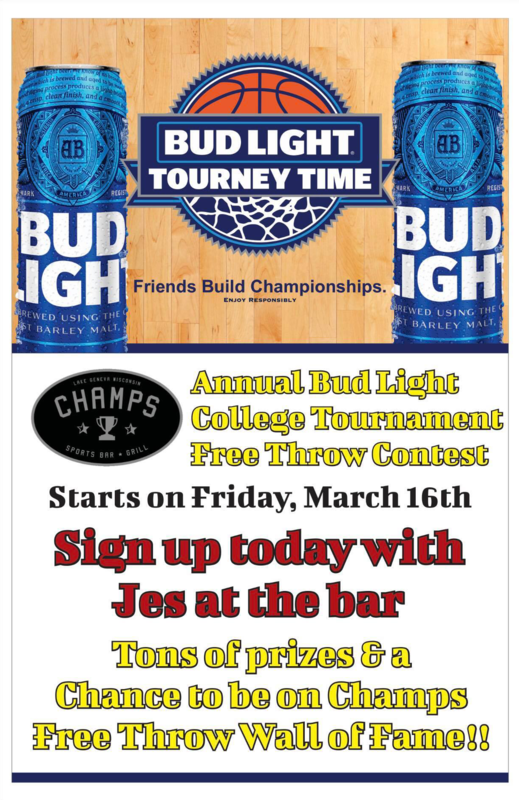 Sign up with Jes at Champs! 3/16/18- LIVE MUSIC by "Petty Thieves"
3/23/18- LIVE MUSIC by "Dirty Canteen"